What is the nature of science? Many think this is a fairly easy question to answer. Science is about making observations and then forming the most reasonable conclusions based on those observations, right? Well…that depends. There are many (myself included) who think that the scientific community as a whole artificially censors certain conclusions, because those conclusions don’t fit a criterion that has been imposed on science: that science can refer only to material causes. Because of this view, which is often called naturalism, many claim that science cannot deal with issues like purpose, will, the soul, or God. Of course, this flies in the face of science history, which shows us that the science we have today was formed by those who continually incorporated God into their scientific research. The purpose of Naturalism and Its Alternatives in Scientific Methodologies is to explore how naturalism overtook science and how that error can be corrected. The book is actually a compilation of the proceedings of the 2016 Conference on Alternatives to Methodological Naturalism. As such, it is really a collection of essays written by multiple authors. 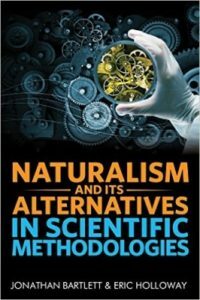 Some of the authors deal with the problem of naturalism’s infection of science, others discuss how scientists can build alternatives to naturalism, and others make suggestions for how non-naturalistic causes can be used to guide research in certain fields. But wait a minute. Science is about studying the natural world – doing repeatable experiments and coming up with conclusions that apply uniformly throughout nature. Doesn’t anything supernatural work against that? After all, if miracles can occur, doesn’t that mean I can’t trust my experiments? Couldn’t any result I get in the lab be the work of a capricious demon? Of course not, and the author of the second contribution to this book (Tom Gilson), gives us the obvious reason why. As someone who has done a lot of original scientific research, I can attest that this happens all the time. Indeed, when we had unexplained noise in our experimental systems, my atheist Ph.D. adviser would call the noise “demons,” because usually, when we finally got rid of the noise, we had no idea how we did it. As nuclear chemists, we are trained to spot anomalies, and they generally don’t interfere with our conclusions. As Gilson says, the key to science is regularism. Science expects the universe to behave with reliable regularity, and there is nothing in Christianity that would say otherwise. Indeed, some have made the case that the Christian worldview is what gave us the expectation of regularism in science. But how can we incorporate the supernatural into science? That’s what most of the authors discuss. While there are many reasonable suggestions, I think James D. Johansen‘s is probably the best. Indeed, it is the way I think some really good science has already been done. He calls his method “applied theology.” Essentially, he says that the scientist can use theological ideas (or presumably any ideas that come from a supernatural viewpoint) to come up with hypotheses, and then those hypotheses can be tested by observation or experiment. If the hypotheses are consistent with the data, then the theologically-inspired idea has some scientific merit. This is the way Copernicus came up with his view of the heavens, and it is even the way some modern scientists have come up with their hypotheses. Consider, for example, Russell Humphreys’s work on planetary magnetic fields. He took a statement from Scripture (2Peter 3:5) and used it to come up with a model of how God might have supernaturally created the planets. He then used that model to predict the magnetic fields of each planet. His model was successful for the magnetic fields that had already been measured, but those of Neptune and Uranus weren’t known at that time. Later on, they were measured, and his predictions were consistent with the data. That same model was used to predict how a recent measurement of Mercury’s magnetic field would compare to the previous measurement. Once again, his prediction was accurate. It seems to me that this is a perfect example of how science can incorporate the supernatural. While the model itself depends on a miracle, the natural results of that miracle can be tested. In other words, while science cannot explain miracles, it can (at least on some occasions) test whether or not those miracles actually occurred. As I said previously, some of the authors make suggestions for how non-naturalistic causes can be used to guide specific fields. The first applies to computer science, the second to linguistics, and the third to psychology. While those were interesting, I found the fourth to be very intriguing, mostly for introducing a conclusion from the famous ENCODE experiments that I had never before considered. I will discuss that in a later blog post. For now, I would like to suggest that anyone doing scientific research or planning to do scientific research should read this book. 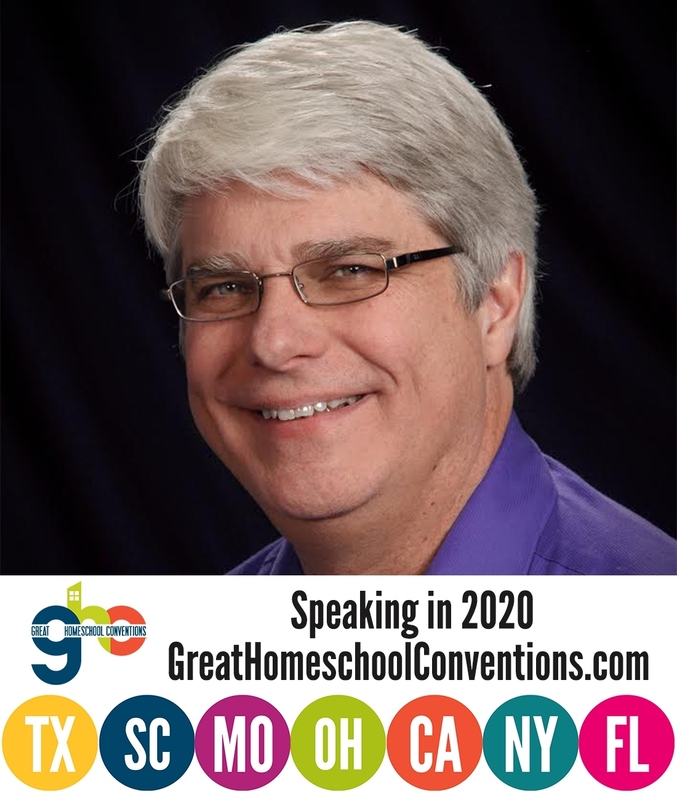 It will provide a lot of valuable guidance on how to do your research in a way that is unfettered by artificial constraints. Just a small comment. Facts from the study of quantum mechanics show that at the most fundamental level, science is unable to account for physical phenomena. For example, we can not predict nuclear decay of any atom. We can only give the odds. We can’t run the same experiment under the same conditions and get the same results when dealing with things at the particle level. We only can predict averages. I interpret this as that God hides his hand within what we might call quantum uncertainty. I’m sure someone can try to make some kind of counter argument but the fact remains that our best analysis of things leaves us with events happening which have no discernible “natural” cause. Ergo, the hand of God. I would have to disagree with you a bit, Doug. Certainly, quantum events cannot be precisely determined. Instead, only probabilities for specific results can be given. That does not, however, mean that science is unable to account for those physical phenomena. For example, when I bash one nucleus into another nucleus, I cannot say exactly what the products of that reaction will be. However, I can give you an exact probability distribution that perfectly describes the results of a million such reactions. Why? Because our models of nuclei can fully explain the reaction. Indeed, they can even explain why the reaction products are distributed in that probability distribution. Thus, science can account for the phenomenon. It just can’t be deterministic on a case-by-case basis. It can only make precise determinations of the probabilities involved. Also, if I run another million reactions, I will get the exact same probability distribution again. Thus, you do get the same results when you run the same experiment under the same conditions, as long as your experiment is properly designed (i.e., looking at millions of reactions instead of just one). Now there are a lot of philosophers who would agree with you that God interacts with His creation through quantum mechanics. While I am dubious about the idea, I will accept it as a possible explanation for how God works. However, this isn’t because science is unable to account for quantum processes. It’s because God can “rig the dice” so that a series of events end up going the way He wants them to go. In other words, He can be deterministic, even though science cannot be. You wouldn’t call him a biologist, Jake? All of the science for which he is known was in the field of biology. Sorry – I meant that I only know about the condensed matter theorist Haldane that just won the Nobel Prize in Physics. Ah…Indeed. He would be more familiar to you. I have a kind of layman’s theory of my own having to do with planetary science. I say layman but I have an MSEE and worked for a couple of decades in Houston designing industrial instrumentation. I have a kind of faith in abiotic hydrocarbon formation that the experts don’t claim to have. The pieces of my faith are that it has been shown that hydrocarbons can be synthesized from CO2 and H2O (or rather the elemental constituents of such) in the presence of silicate catalysis by high pressure and temperature. It is know that H2O and CO2 are carried into the mantle by plate subduction and probably other mechanisms. Viola, a beautiful system for renewable energy, the Hydrocarbon Cycle for transporting thermal energy from the core of the planet to civilizations on the surface. This personal ‘theory’ is made more likely true if a belief that the planet was designed is true, with human civilization part of the grand design. There is some evidence for methane and other hydrocarbons being formed abiotically. I blogged about it a while ago.